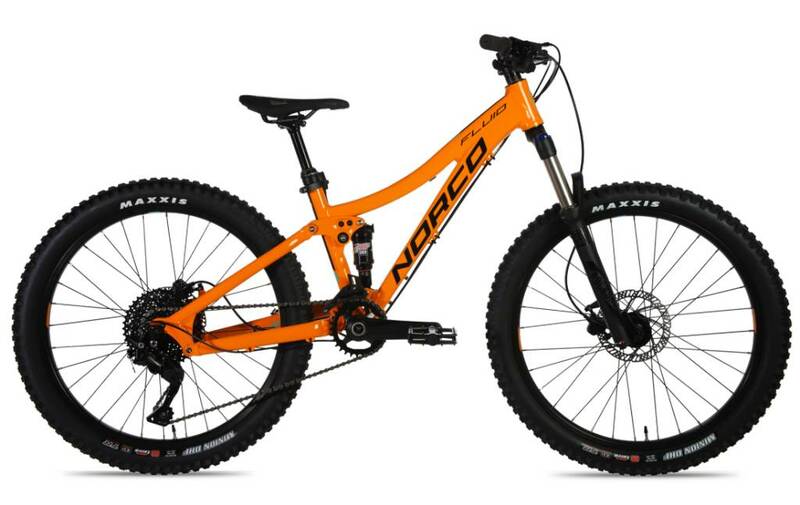 Give your youngster the same trail capability of the adult Norco Fluid series. Designed for smaller riders, this full suspension youth mountain bike was designed with a lower standover height for added safety while dismounting on the trail. Hydraulic disc brakes deliver all the stopping power they'll need to handle rough terrain and make the most out of the and the trail-tuned A.R.T. suspension will help them take their riding to the next level. 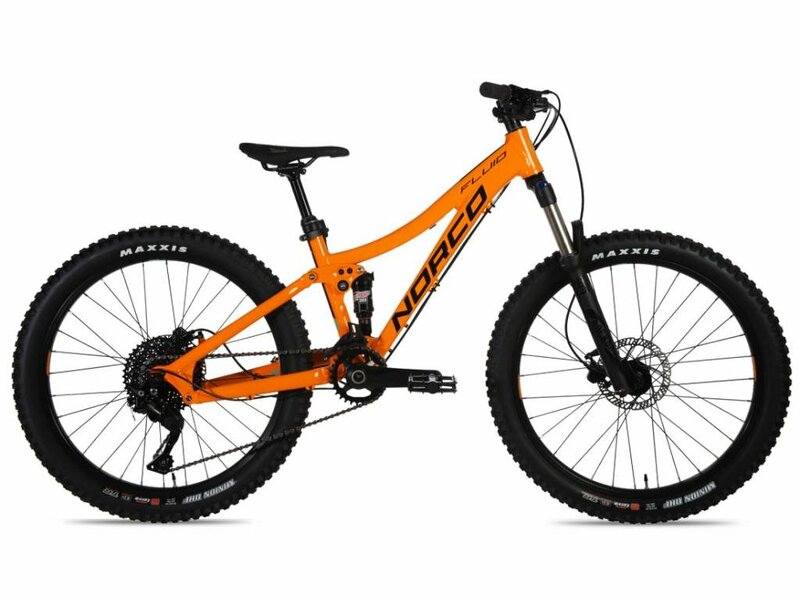 FRONT TIRE – Maxxis Minion DHF, 24x2.4"
REAR TIRE – Maxxis Minion DHF, 24x2.4"
The Norco Charger 4.1 is your go-to mountain bike for serious fun with your little ripper on the trails with its lightweight aluminum frame, low standover and sturdy 24" wheels and quality components across the board.